The excellent 2019 Awards’ Programme is now closed with more entries than last year! FINAL REMINDER – Sunday 31st March DEADLINE!! 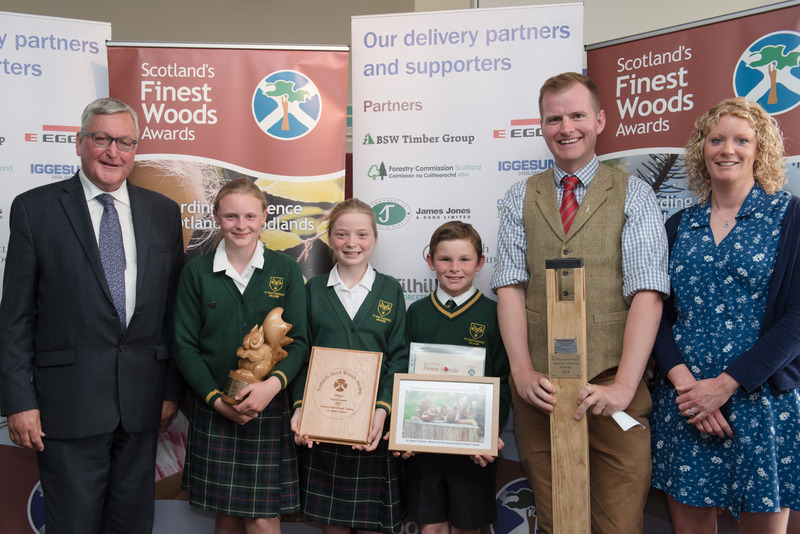 New trophy for ‘Young People’ involved with Scotland’s Finest Farm Woodlands unveiled! 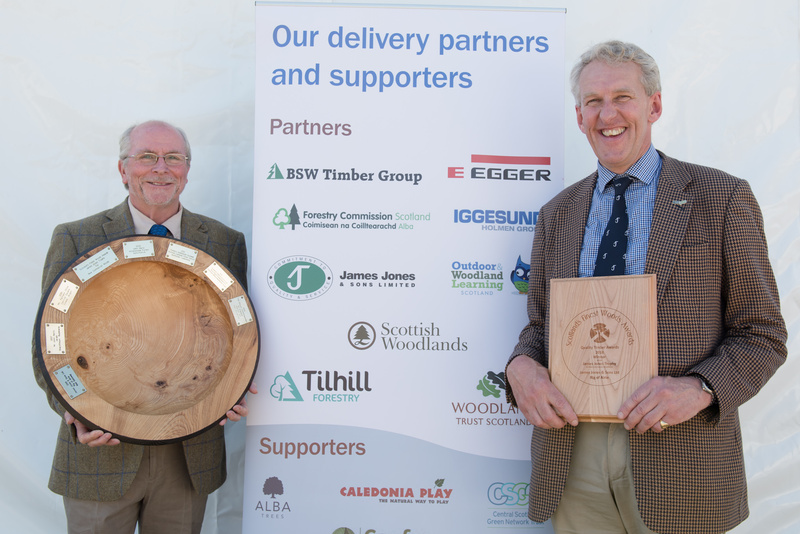 Two prizes of £1,000 are on offer for the finest farm woodlands in Scotland. 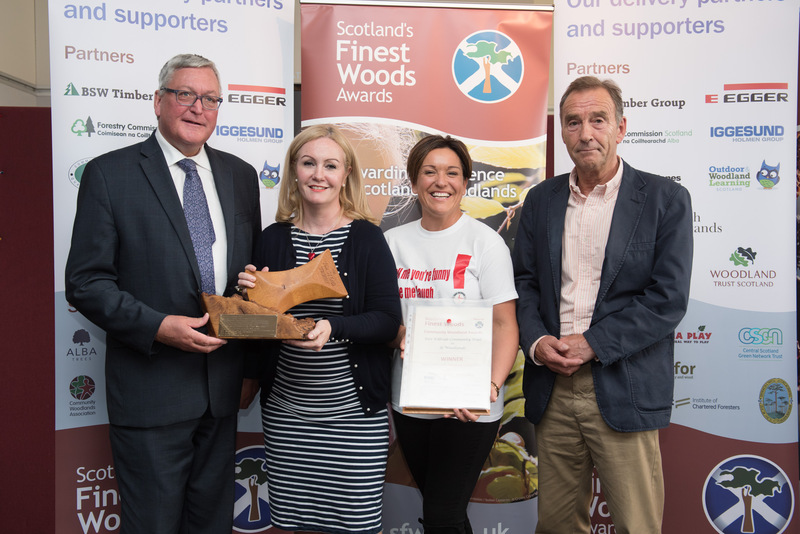 The largest ever Scotland’s Finest Woods Awards for 2019 are NOW OPEN! We have now closed for 2019 entries! An enormous thank-you to all those who entered our biggest Awards’ Programme ever attracting more entries than last year!! 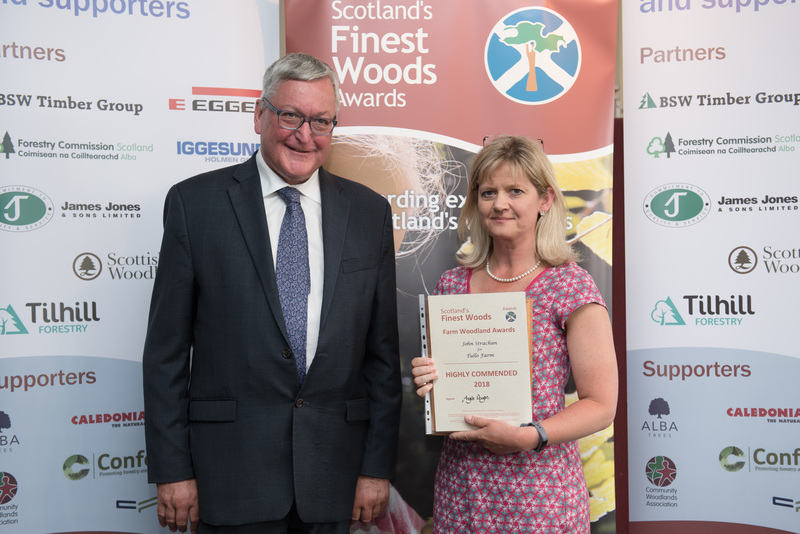 Our annual awards’ programme rewards and showcases all that is best in Scotland’s forests and woods. 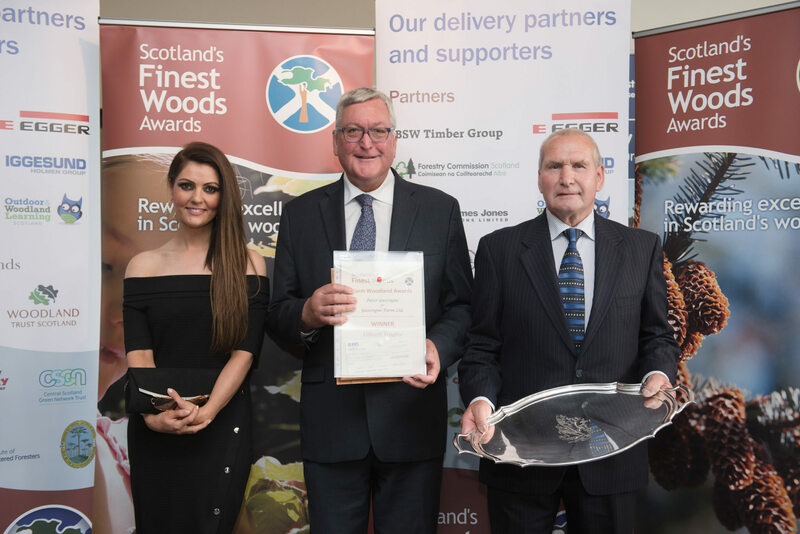 1919 Forestry Act Centenary Award >> Unique for 2019, a one-off competition to mark the centenary of this important Act that has helped influence the way Scotland’s trees, woods and forests have been managed and nurtured over the past 100 years. It celebrates what they have contributed to our lives, economy and environment providing a platform for further growth in the next century. A specially commissioned trophy and £1,000 are being made available. 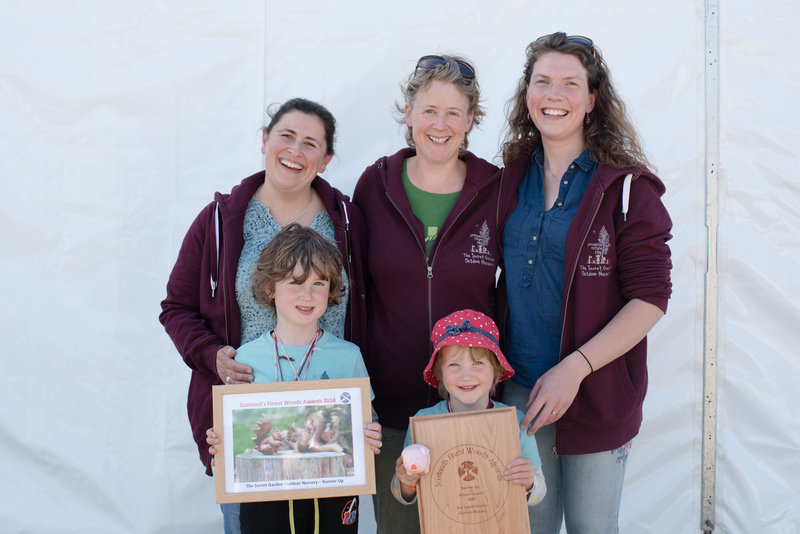 Community Woodlands Award >> Community-based projects compete for this Scotland-wide award with two competitions for both small and large community woodland groups therefore covering the full spectrum of community forestry in Scotland. The striking Tim Stead Trophy and prize money are up for grabs. 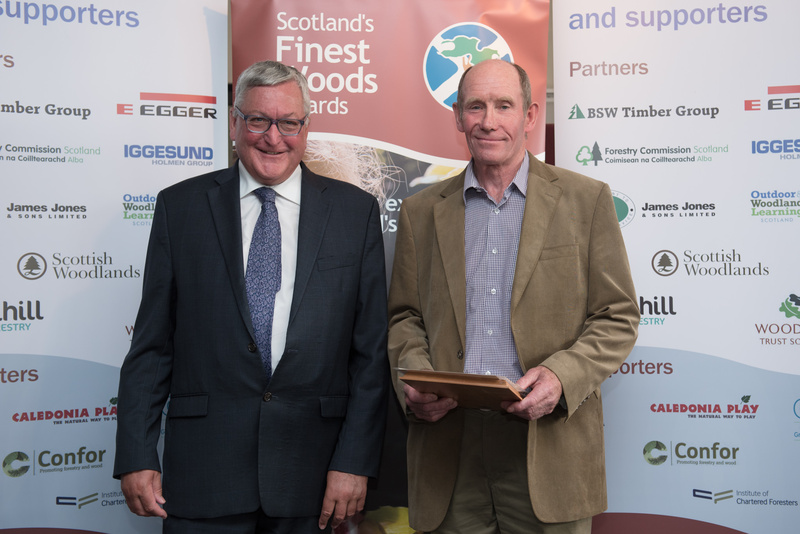 Farm Woodland Award >> Introduced in 2018 and now expanded into two competitions for an active farmer/crofter anywhere in Scotland and for young people whether the active farmer/crofter and/or their forester/woodland manager or both roles! 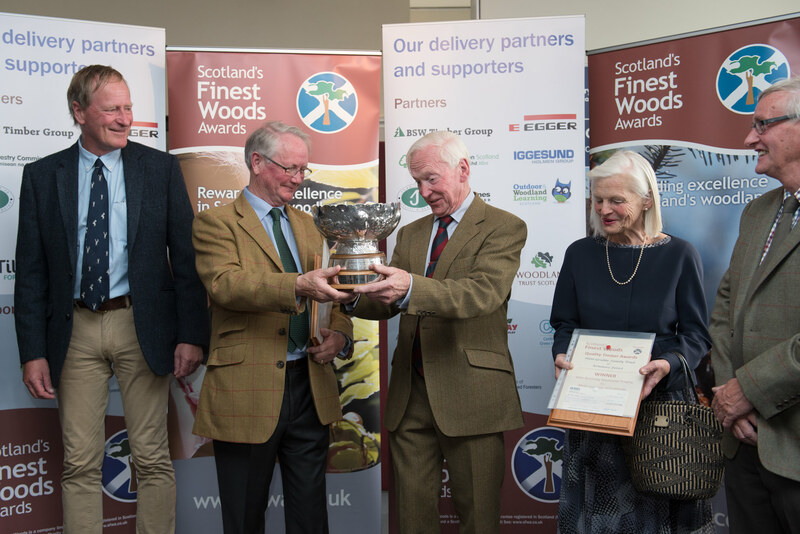 The magnificent Lilburn Trophy and new for 2019, the Scottish Woodlands Ltd. Trophy for Young People plus cash prizes are to be won. New Native Woods Award >> New native woodland projects compete for this award. 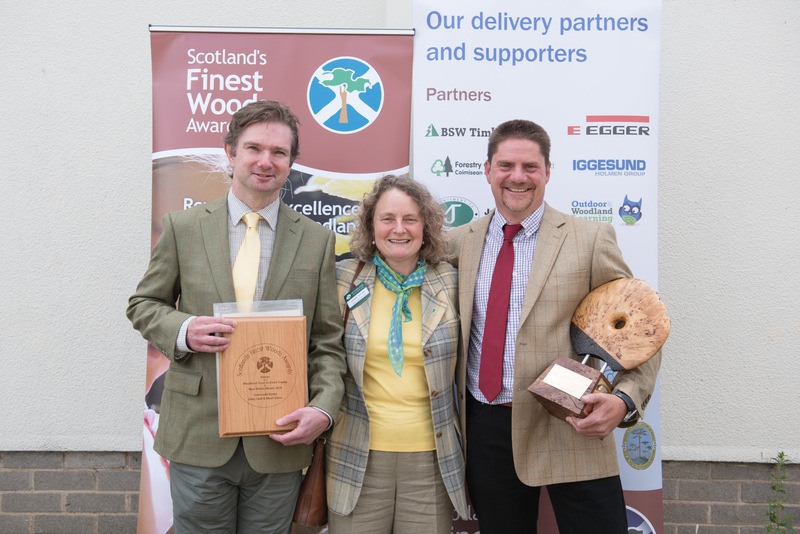 The unique Woodland Trust Scotland Trophy and a cash prize are available for the winner. 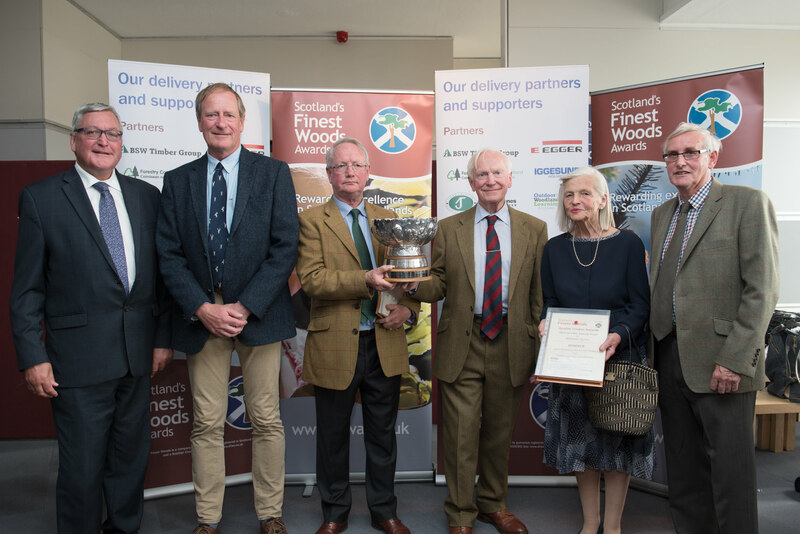 Quality Timber Awards >> Focusing on growing quality timber, woodland owners and their managers can compete in one of, or all, our three competitions with three magnificent trophies and prize money at stake. The competitions are for ‘newly-planted commercial woodland’, ‘a single stand/compartment/small wood’ or ‘whole estates and larger multi-purpose forests or woodlands’. Schools Award >> Schools and pre-school projects anywhere in Scotland can enter this ever-popular award. We seek out Scotland’s most fun-packed school woodland projects with prize money plus other prizes available to be won. Pupils, teachers and many helpers have great fun taking part! If you missed the 2019 deadline why not enter the 2020 Awards’ Programme? Don’t forget you need to be in it to win it! 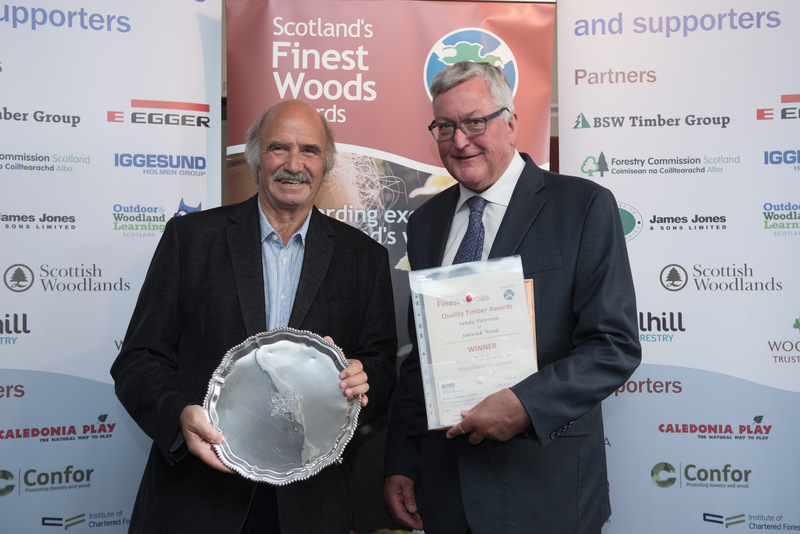 We thank all those who were bold enough to enter the competitions this year for the prestigious and largest ever 2019 Scotland’s Finest Woods Awards! We always encourage you to take part hoping to see new faces, as well as familiar friends, in our field of entries for the superb Awards’ programme. 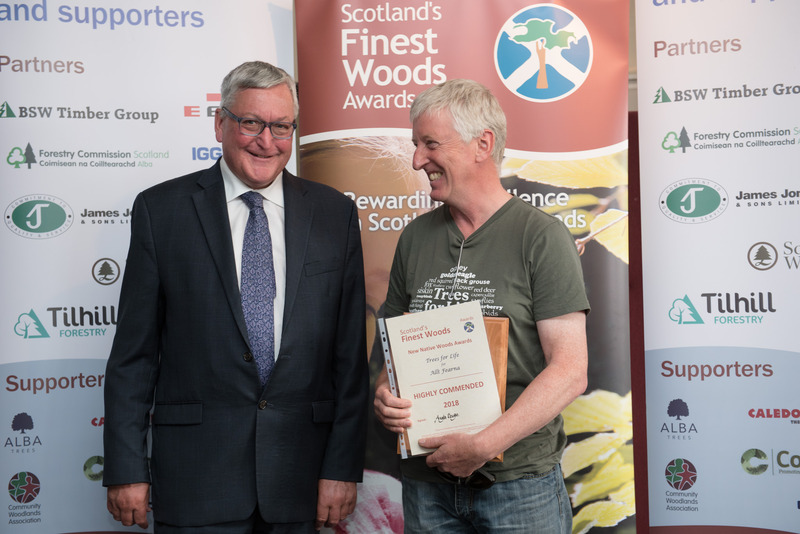 For those who are involved with, own or manage a wood that may be one of the finest in Scotland you can find the 2019 details here. You can also follow us on Twitter and on our Facebook page. 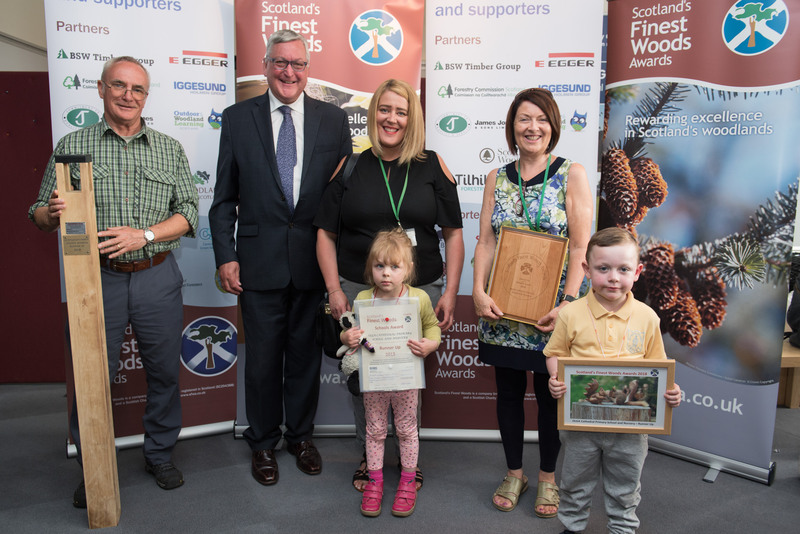 Should you need inspiration, the 2018 Scotland’s Finest Woods Awards’ Ceremony was held on Friday 22nd June at the Royal Highland Show, Ingliston – a fantastic celebratory day with information provided below!